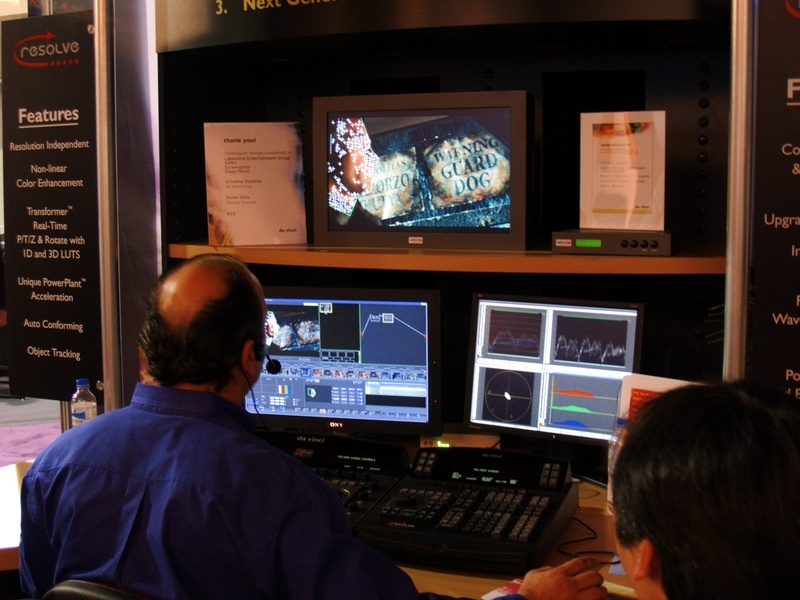 Here’s a shot of the da Vinci color corrector at work. This thing has some scary features, like it can automatically track a face in (and out) of frame so that you can do a custom color correction just on that. You just draw a rough circle around the area and it does the rest — no rotoscoping or tracker-picking necessary. It was also fun to watch them correct the levels in a scene. They would just manipulate the wheels in front of them, and suddenly the frame looked good. You could really fly on that thing.